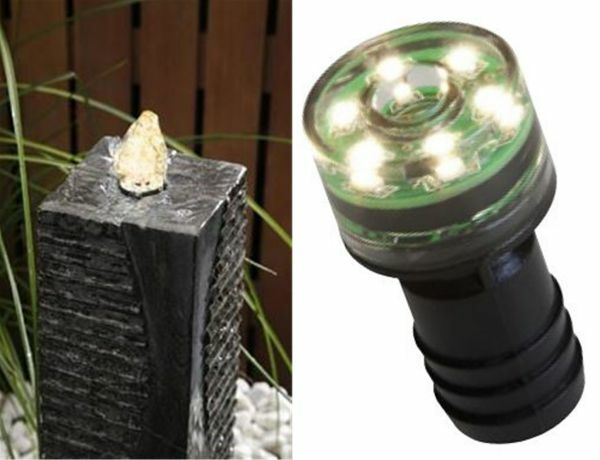 Warm White LED Light, ideal for mounting in drilled paving slabs or drilled monolith water features. 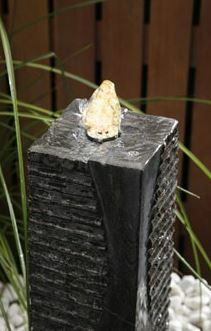 Bored internal hole allows water to be pumped through the nozzle, to create a bubbling plume of water. 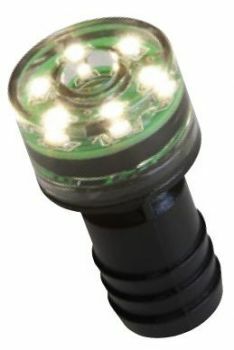 1 watt warm white LED illumination. Plastic spotlight housing for underwater use (IP68 rated to 0.5m water depth). 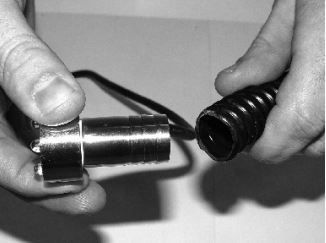 3/4" hosetail for connection to a 3/4" internal diameter flexible hose. 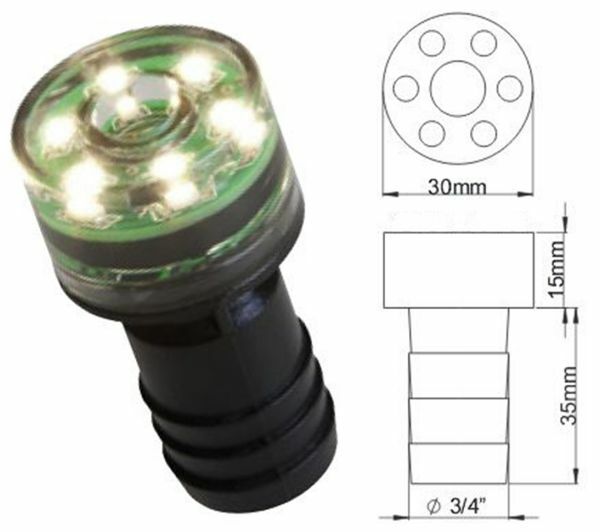 Supplied with 5 metres of low voltage cable and screw terminal. Supplied with 6w Weatherproof Transformer and 1.5m of 230V Cable. 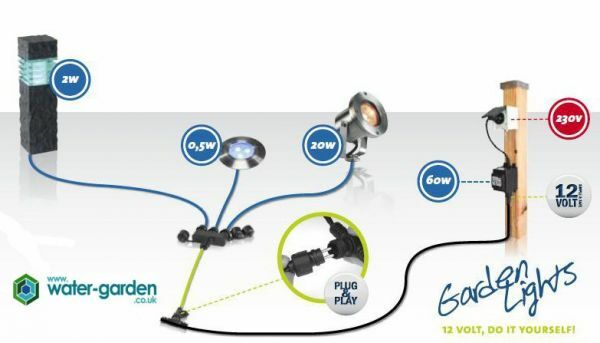 Suitable for connection to the Plug & Play range of low voltage cables, transformers and controls, allowing multiple Bubble Jets to be powered via one mains outlet connection if desired. We recommend a pump with a flow rate of 600 litres/hour or greater. 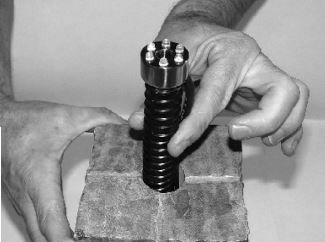 If mounting at the top of a stone monolith, a more powerful pump should be used to account for the additional height. Call Water Garden Ltd if you need help selecting the most suitable pump for your application. Our original light gave out after only 18 months (not bought from Water Garden) and I found it difficult to find a replacement. However having tracked one down we can now enjoy our water sphere anew with great pleasure.